Amazing localized excitations such as freak waves happen in nature at all scales. The present theory and models of these waves can be applied to various fields such as physics, acoustics, cosmological relativity, neuro-dynamics, nonlinear lasers and optics, plasmas and oceanography, but they can also play an important role in nano-electronics at the quantum scale. 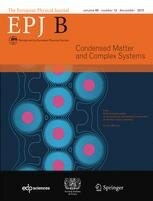 A recent study conducted by Manuel G. Velarde and team from the Pluridisciplinary Institute of the University Complutense of Madrid, Spain, involved performing computer simulations to compare two forms of localized excitations in nano-technology. The details of the study, published in EPJB, reveal that these localized excitations are natural contenders for energy transport and storage. These can result in the omission of silicon in applications including transistors that have very low heat dissipation. Instantly localized excitations can be pinned to discrete breathers or crystal lattice. Alternatively, they can travel, in which case they are known as spontaneous solitary excitation waves or solitons. A computer simulation was designed by the researchers to further validate the differences between the two forms of excitations. Depending on the combination of their dynamics (employing the standard Runge-Kutta method), the scientists followed a powerful initial external pulse on a single lattice unit. The team paid attention to the influence of the forces that cause these excitations due to the inter-site and on-site vibration (that correspond to relative displacements units and individual lattice units, respectively). They also discovered that, under some conditions, the discrete breathers become a true solution, traveling within the lattice at supersonic speed. These discoveries prove that solitons can be employed as natural transporters of matter, energy or electric charge. For electric charges, they can transmit the soliton-like movement to the charges, providing them the ability to ‘surf’ the solution wave. Discrete breathers, which are natural energy traps of energy, can be utilized to carry electric charges in some situations.